I am always using my phone in the kitchen either to look at a recipe, listen to music or both. I used to just put it on the table in my kitchen and turn around and maneuver myself in a way to see the screen while it was flat down. I tried to prop it against something but it always fell. 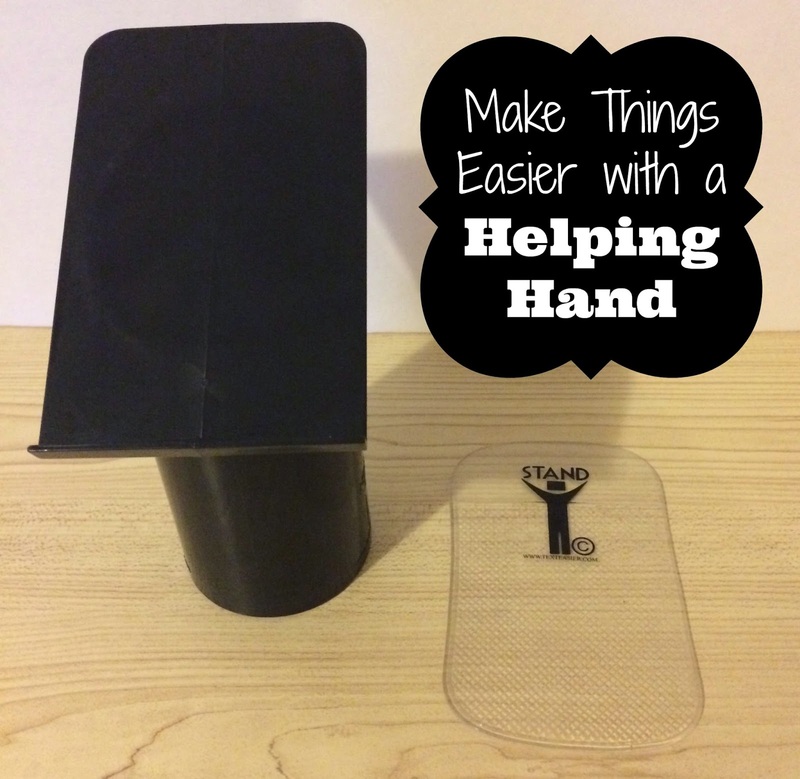 Things got a lot easier when I got to review the Helping Hand! 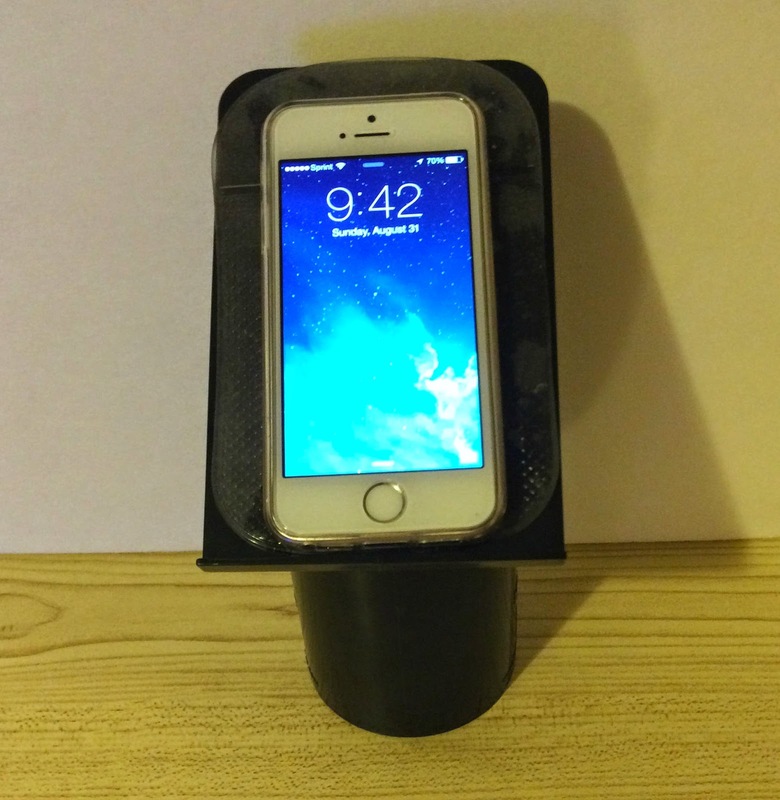 The Helping Hand securely holds your phone or tablet on a kitchen counter, desk or vehicle without moving. It's made of heavy duty ABS plastic and comes with a washable sticky pad. 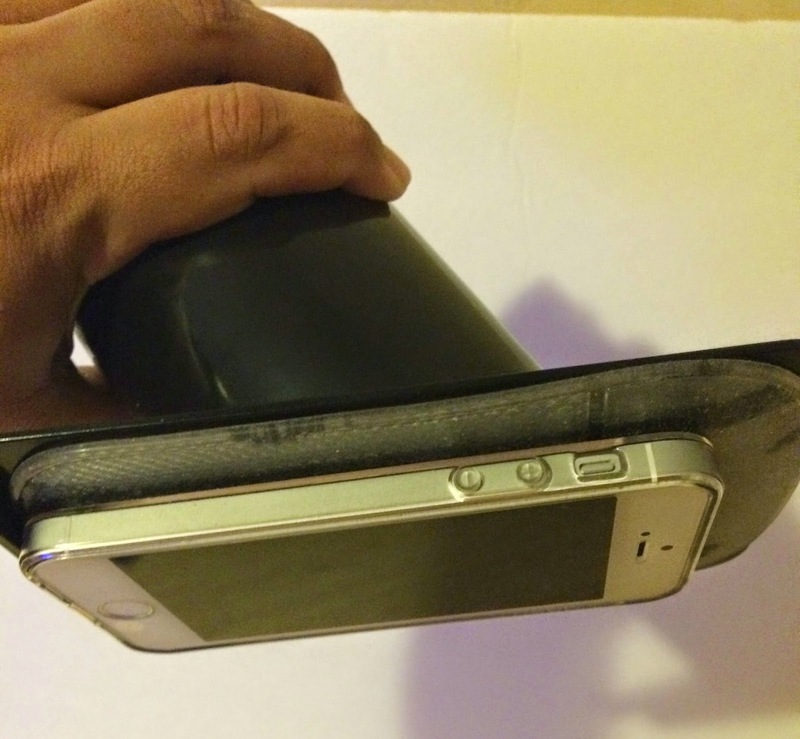 You can even turn it on it's side to prop the phone or tablet upright to make a video. 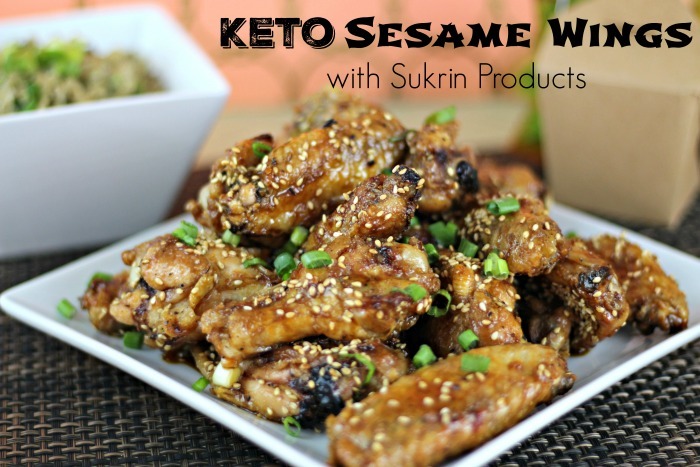 I love using it on my kitchen counter right in front of where I am prepping my recipes. It stays upright so it is easy to see and won't get dirty while I am cooking. The sticky pad makes it extra secure by staying in place even if I bump into it. 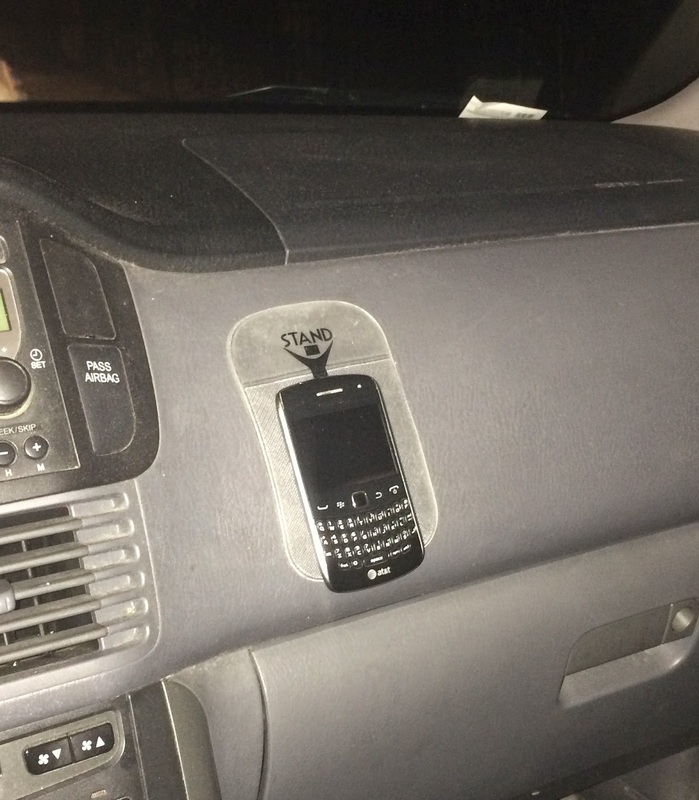 Unfortunately it didn't fit in the cup holder of my husband's car but he still loved using the sticky pad on the dashboard to keep the phone in place while he used the GPS. 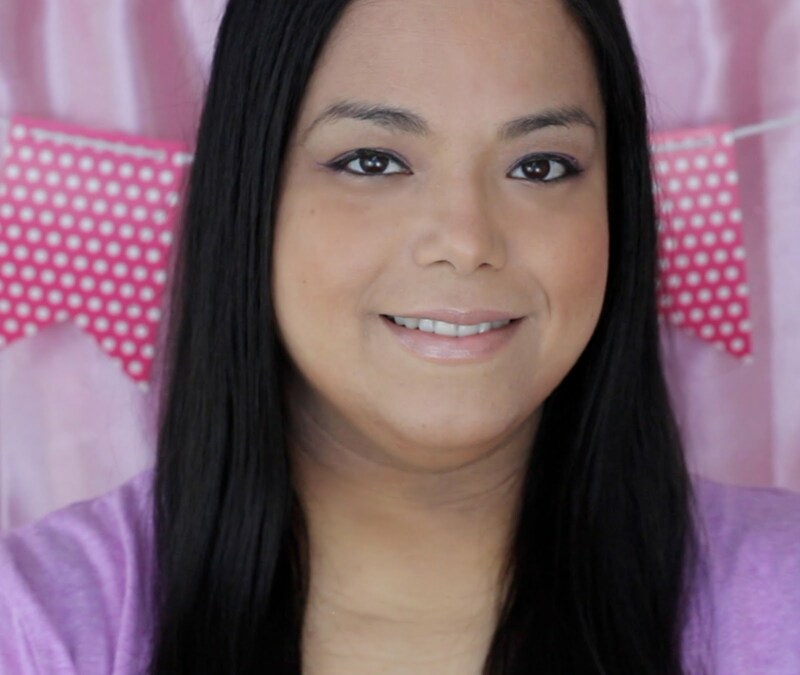 Do you use your smartphone or tablet in the kitchen? That looks like something handy to have around. Very cool. This is something I can really use. I never have a right spot to put my phone. I would totally use that. What a handy thing to have. I've seen this before. I think it would be pretty handy instead of the contraption that has now stolen my cupholder. Well this is super cool. I too use my phone a lot while I am cooking and could definitely use this when i do! I can always use a helping hand! Great idea with this one! What a cool little gadget! Love how securely it holds your phone so you know it won't slip off and fall and then break. This looks so useful! very cool. i should try this! Wow! That is very cool! Looks very handy! I could use one of thse in my home and car!